There are three primary types of e-cigarette devices used for vaping – Cigalikes, Vape Pens and Box Mods. Available in a series of shapes and sizes, deciding which device is right for you can be confusing if you don’t know what’s what. Your friends might be using Box Mods but you’ve also seen people using much smaller devices like the Cigalikes. Whether you have just put a stop to your smoking habit or delved into the world of vaping for the lush flavours, finding the right device for you is important. The ideal entry-level vaporizer for those new to vaping, such as the name suggests, Cigalikes or e cigs are similar in appearance to your traditional cigarette. Convenient, and easy to use, a prefilled cartridge is typically screwed onto the end of a rechargeable battery that will automatically detect when you wish to draw on the device to vape. When you run out of power simply re-charge the battery and once the cartridge is empty, you simply replace with a fresh cartridge and go again. We told you. Easy. Vapour2's range of cigalikes includes the Classic range and the more powerful EX range - regarded as some of the best starter cigalike devices available. For a quality vaping experience choose from a range of 14 flavours of Vapour2's Premium E-Liquid. Cigalikes are suitable for new and current vapers seeking an experience close to smoking. With being easy to set up, starter kits, batteries and cartridges are the quick and convenient way to vape. However, if you're looking to to produce large clouds of vapour you better step away from these. With a lack of settings and flavour adjustments, you're better off getting a vape pen for a more advanced vaping experience. Those satisfied with cigalikes need not necessarily switch devices because you think you have to, however in the instance that you are keen to try something new, Vape Pens are the next logical step in your journey. Offering wider capabilities and functionalities, Vape Pens will provide you with the freedom to manually refill your e-liquid and experiment with flavours. 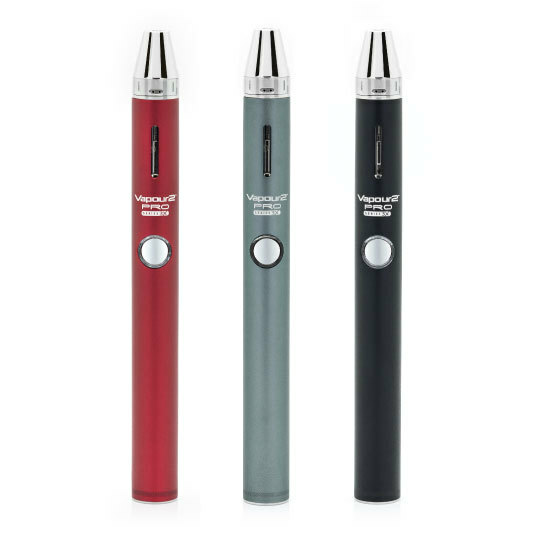 The Vapour2 range of vape pens includes the highly regarded PRO Series vaporizers that include the PRO Series 3, the enhanced PRO Series 3X and the multi-functional PRO Series 7. All three devices have their own advantages depending on your preferences. Design features on various vape pens will, of course, differ greatly depending on the model and manufacturer, though ultimately they will be similar in shape to a cigalike, though typically larger. 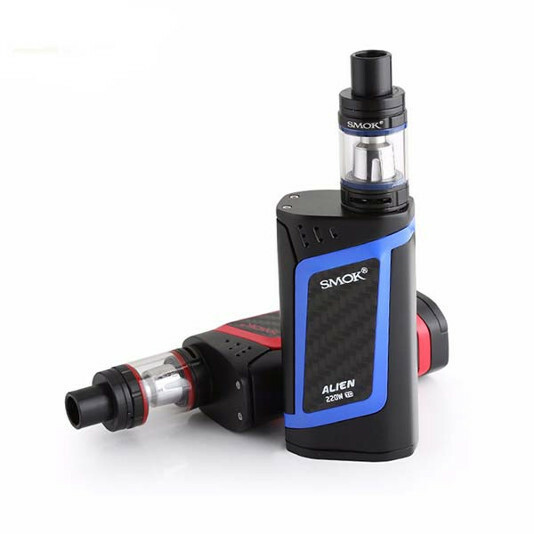 These devices tend to have a greater battery capacity that provides you with more power than the standard cigalike and will commonly use a refillable tank system for your e juice. Compared to cigalikes and disposable cartridges, refilling your own e-liquid tank is a far more economical option as well as more environmentally friendly. For those looking to improve on their cigalike experience, the PRO Series 3 makes a great choice. Lightweight, long-lasting and easy to use, simply fill your e-liquid tank with your favourite e-juice and vape away. If you seek a few more features from your device, then the new and improved PRO Series 3X will let you choose from variable power settings and heat control – ideal for experimenting with vapour production and cloud control. Offering 3-in-1 capabilities Vapour2’s PRO Series 7 will provide you with all that you need to vape e-liquid as well as the option vape dry tobacco, herbs and wax too. Vape pens do not produce huge amounts of vapour and aren't suitable for Cloud Chasers. However, if you're looking for a convenient vaping device, a battery with pre-filled cartridges is the way to go. Once you’ve become accustomed to vaping and have developed a taste for experimenting with your device; box mods, tube mods, or just mods as they might be known, are the next level up if your're looking to customise your vaping experience. Providing you with the freedom to play and vape in the way that suits you best, box mods are available in a variety of shapes and sizes. As the name suggests box mods will be typically larger devices compared to cigalike and vape pens. Box mods are sub-ohm powered devices which allow a variety of modifications and adjustments to be made by in order to change the way you vape. Sub-ohm devices like box mods use low resistance coils which in turn create a hotter temperature to heat your e-liquid which can enhance vapour production, flavour, as well as the throat hit you experience when you vape. Vapour2’s sub-ohm Trinity Vaporiser is the ideal device for those looking to explore and customize their vaping. Compatible with both PG and VG based e-liquid, the Trinity offers a variable power output of 5-40W, which will allow you to up the power to a place that feels right for you. Whether you're just starting to vape or are looking for more options when it comes to customizing your experience, choosing which device s right for you is essential in your journey to becoming smoke-free. If you have any questions about what might be best for you, please don't hesitate to get in touch and our team of vaping experts will be happy to help.